Seems a very powerful tool. Have you tried really ? Seems easy for me. Running to try and will comment. I prefer to wait to you. Seems an annoying solution by your words. And not for the main contextual menu. Ok. Let me get it straight. You right click an empty space on desktop or folder and the command is in the menu? Or you right click on a file and the command is there? It would seem more logical to do the former if making new files. 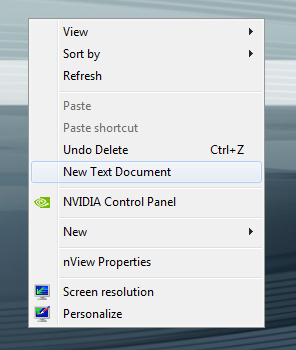 Create a new txt file just clicking right in an empty space of the desktop or any windows explorer folder . Ok. After the text file is created do you want to open it in an editor or just double click to open? Just double click to open. the same behaviour like in the "new" secondary contextual menu. This ahk should do it. Compile it to exe.. maybe NewTextFile.exe. Since there is no window it should not block the mouse. It's just a macro to right click to open menu, then sends 'w' and then 't' the system does the rest. It's just opening the New submenu. I don't understand all the concept, but I will try and comment. You don't have to go the macro route. But I figured the mechanism is there and you don't have to mess with temp filename stuff. Plus newer versions of Windows are finicky about creating files. You could use a program that just calls CreateFile() but it may need to be run as administrator. Nothing happen after multiple proofs. I have several utilities to generate one or more empty txt files in a folder. so the purpose now is create with the contextual menu. But I think you are right. Is only create a new empty txt file with an entry in the main contextual menu. Or what am i doing bad in the prior script ? By the way i have initial problems with compilers. One of my compilers don't go well. Where is the official version of Autohotkey_L ? Don't know where to start or how to fix your script? Join the friendly AutoHotkey community and ask for help. I also has in the contextual menu working well. 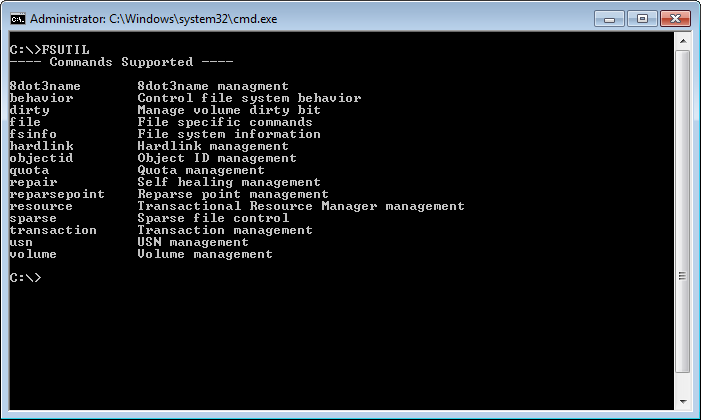 no idea why 'you don't the command'.. it works here in win 7 64-bit..
sorry. I don't know how to do that screenshot with fsutil. What command and parameters do you use exactly ? Page created in 0.029 seconds with 60 queries.